Cyberduck is a program developed by multiple programmers in an open-source fashion and is used, in part, to transfer data via SSH. SSH, or Secure Shell, is a network protocol that allows data to be exchanged using a secure channel between two networked devices. It allows users direct access to an iPhone's systems and files. 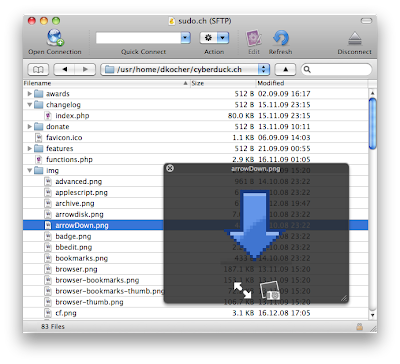 This is useful for quick file transfer, changing wallpapers and phone customization. Cyberduck can be downloaded for free. 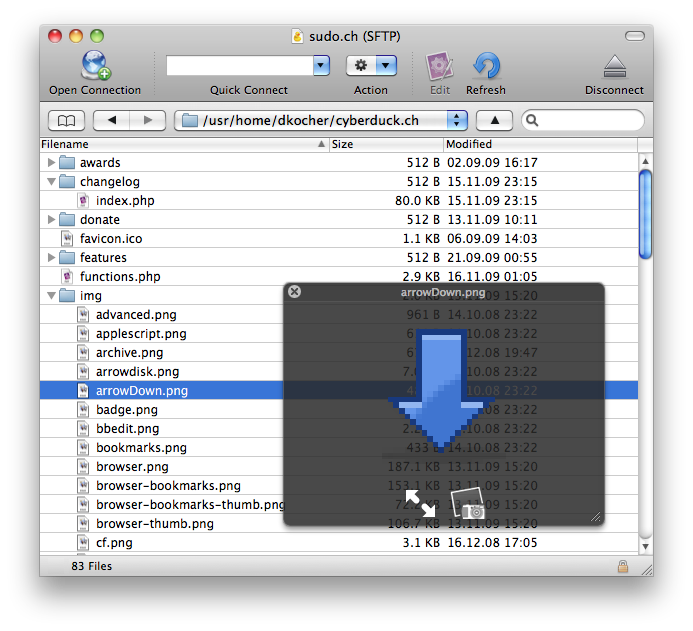 In this article we need to know thee way to connect your iPhone to your Mac using CyberDuck. you can follow the follwing steps to success connecting iPhone to Mac unsing CyberDuck. 2. Connect your Mac and iPhone to your wireless network. 5. Click on ‘Bookmarks’ to create a bookmark of your connection. 6. Click on ‘+’ sign at the bottom left corner. 7. In the ‘Nickname’ field type a name for this connection. 8. Choose ‘SFTP (SSH File Transfer Protocol) from Protocol drop down menu. 9. In the ‘Server’ field type your iPhone’s IP address. 10. Type ‘root’ in the ‘Username’ field. 11. Close your bookmark window. You should be able to see your new bookmark in the bookmarks list. 13. Double click on your new bookmark. If CyberDuck asks you to enter a password, type in ‘alpine’ and hit ‘Enter’. 14. You are in! Here is how it looks like. Oho good dear!!!! Very interesting blog and a good posting!!! You must maintain your blog, its interesting!! !